Limited stock! 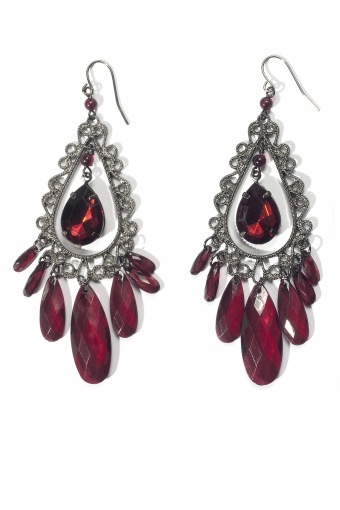 Baroque Drops Glamour Red earrings by From Paris With Love! This is glamour! 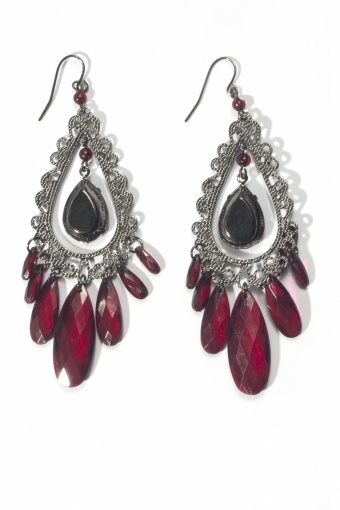 Classy earrings with dark red faceted teardrop beads on a filigree frame in antique-look silver tone. 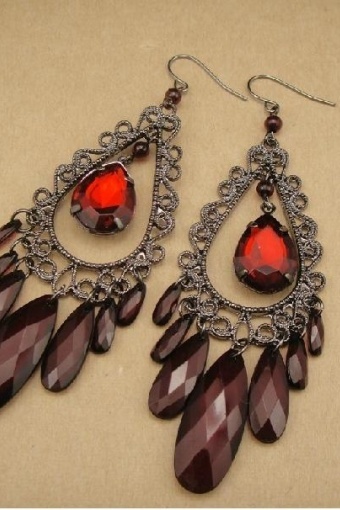 In the middle a fantastic faceted red rhinestone.